The Gerber Ridge is one hell of a lightweight everyday carry knife. This tiny little beast is not only incredibly small but also packs a real punch. 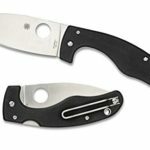 This knife really brings new meaning to the word pocket knife due to its tiny closed length of 3″! That is the size of most EDC blades. 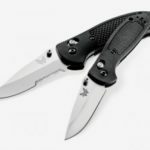 This is one brilliant knife that can easily be clipped to your pocket, or added to a lanyard and you are not going to notice it there at all. One thing you will notice however is that when you first look at it closer you will see that the blade is actually exposed and not inserted into the handle. This not only looks nifty but also makes the blade damn easy to open as you can just slide your finger/thumb over it. Don’t worry though it features a little “ridge” which prevents you from cutting yourself when using. 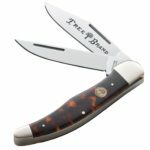 This little blade is perfect for someone who doesn’t want a large blade that will weigh them down and really only needs a blade for smaller more delicate tasks such as small rope cutting and box opening. 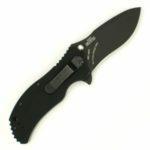 The Gerber Ridge features a flat edge and comes in both a partially serrated and plain edge version. 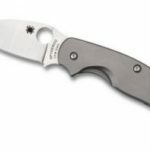 The flat edge is incredibly straight which means that regardless of the part of the blade you are using, you are going to be getting an even cutting pressure. This adds strength to the blade and allows it to perform those more demanding tasks. The blade is made out of 440a High carbon stainless steel which can get quite sharp, but not razor sharp. However, for the price, it is quite a good blade and will retain an edge for a fair amount of time which is quite useful. If I had one complaint about the Gerber ridge it would be the handle. The handle material is stainless steel so you are able to get a fairly decent grip on it, but as it is straight as anything to match the blade I find it not as comfortable to hold as some of the other ones which bend to the shape of your hand. However, I really do like the exposed blade on it as it is incredibly easy to open, even with one hand (although left-handers may slightly struggle). 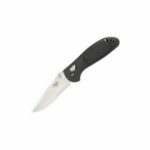 The handle also features a fairly solid liner lock which snaps into place quite nicely and ensures that your blade will remain open when using it. I haven’t had any issues with this yet, so that’s a plus. Overall, the Gerber Ridge is my go to lightweight pocket knife. You are barely going to feel this little guy in your pocket making it perfect for both sexes who are just looking for something small that can get the job done. Better yet it is really affordable so if you lose it (it is fairly small) you are not out of pocket that much and can just go and pick up another one for $25.